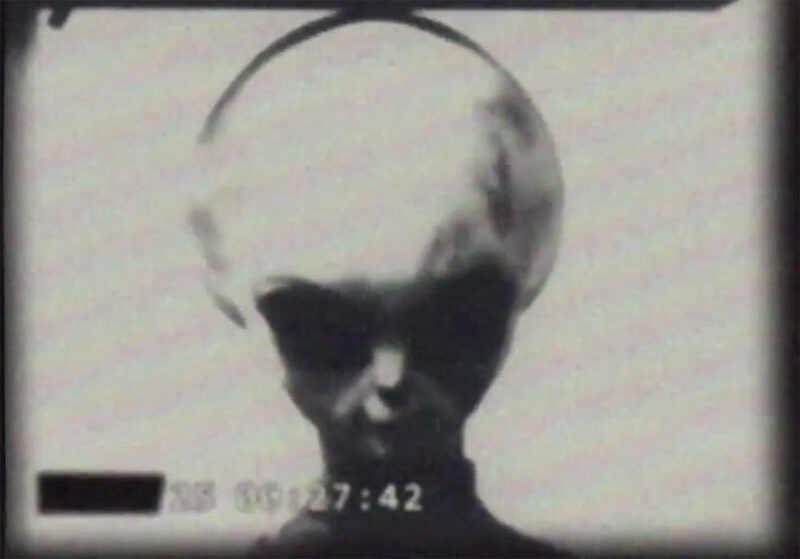 In 2011 a series of old videos appeared on YouTube, leaked or released, showing walking Grey aliens, and one in particular nick-named Skinny Bob. Although the footage is old, it is clear enough to get a good view of live aliens. Nevertheless, after all those years the videos have gained very little interest or discussion. Is it because people in the UFO community have become so used to blurry pictures and a ‘maybe, maybe not’ mentality, that when genuine and detailed footage shows up, they are too scared to accept it as real. When it is real you can not dismiss it anymore, and you cannot pretend anymore to live in a safe world. After all, not all aliens are what they claim they are, and they are not all concerned about our well-being, judging from the accounts of abductees. Also, a lot of people are still afraid of being ridiculed if they state that some alien videos or pictures are real. I once read a story of a woman (I think she was a journalist) who was talking to an army officer in a corridor of a government building. The conversation came upon aliens, and how she longed to see one. The officer replied that there was one in the building and that he could introduce her to the alien. The woman suddenly got so afraid that she immediately ran away. She couldn’t help herself. Confronted with the reality of having a real alien in front of her was too overwhelming, and fear took over. So, if you are willing to accept that there is real footage of aliens out there, go to my article of Skinny Bob, the Grey alien. This entry was posted in Aliens, cosmic beings and tagged alien, aliens, beings, extraterrestrial, flying saucers, forms, Grey, life, Skinny Bob, ufo, video. Bookmark the permalink. I can speak to this, the issue is practicality. Believing that aliens are real does nothing for the believer. You cannot approach the situation in a way that has a positive outcome unless everyone is equally aware. It doesn’t matter if it’s real or fake because no one is going to do anything with it until it is accepted mainstream. I myself don’t believe it’s real but let’s say it is, then we have a real problem out there, that’s not only being ignored by most people, it’s also being covered up. That means you have two negative forces against you, one the subject of the belief and two, those who cover it up. We would have to change as a society from one of entertainment and seclusion to one of truth-seeking and security. So no, we don’t believe the grey is an alien until we have proof that is widely accepted and available for review by the masses.